The Pinkies’ summer season has started, and the winter is now a distant memory. We had a challenging few months, but it all came together and we put on what was for many one of our best concerts ever. 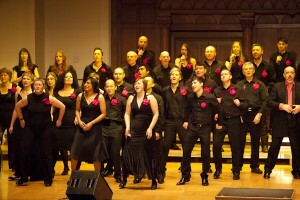 Of course, it helped that we were joined on stage by the always-entertaining Manchester Lesbian & Gay Chorus, and had such lovely photos taken by the guys at Boy Oh Boy photography. Enjoy the slideshow! Previous Previous post: Away with LGBT stereotypes! Next Next post: Razzle Dazzle – willkommen!